Ed Carter is President and co-founder of Wishon & Carter Builders. He and Elbert Wishon formed the company in 1971. He is responsible for providing the vision and strategic direction for the company. Under his leadership, Wishon & Carter has grown into one of the most successful privately held building contractors in the region, annually ranking among the Top 20 General Contractors in the Triad Business Journal. The company is also an alumnus of the Inc. 5000 and Triad Business Journal’s Fast 50 and has won numerous Parade of Homes awards. Ed is active in the daily operations of the company, including a personal inspection of every framing job. ​In addition to leading Wishon & Carter, Ed is active on a number of boards serving the Yadkin Valley. This includes Board of Trustees at Surry Community College, Yadkin Bank Advisory Board, and formerly Advisory Boards for Southern Community and 1st Union banks. He is a past president and active member in SERTOMA, dedicated to those impacted by hearing and speech loss. Matt Dunn is Vice President and minority owner of Wishon & Carter Builders. 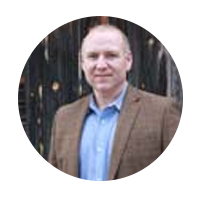 He manages projects in the high country (Boone and Blowing Rock) while directing marketing and strategic initiatives. Since re-joining the company, Wishon & Carter has made the Inc. 5000 and Fast 50 lists. He built and aided in final design of the Hemlock Lodge, whose accolades include winning the Best in American Living Award from Professional Builder magazine. Matt especially enjoys incorporating timber frame and rustic elements into custom homes. Matt started with Wishon & Carter in 1986 as a teenager. He latered worked as a Research Assistant Professor at Philadelphia University and then Business Manager with Owens Corning before coming back to his roots in 2005. Matt graduated from North Carolina State University and went on to earn graduate degrees from Philadelphia University, Drexel University, and an MBA from Wake Forest University. ​Matt is a passionate sports and music fan, and he has visited 20 countries (so far!). He is an avid chef and enjoys cooking unique dishes from around the world. Matt has four children and maintains a busy life as husband, father, mentor, and coach. Ted Baity is the Residential Division Manager for Wishon & Carter Builders. He is responsible for leading residential sales, customizing homes for clients, and managing projects and operations. Ted started with the company while still in college, and has been with Wishon & Carter full time since 1988. He is proud to be recognized by former clients who recommend Wishon & Carter to family and friends, making word of mouth the number one source of new sales every year. Ted especially enjoys incorporating unique elements in to custom designs; including a circa 1860 fireplace surround, columns from an old gas station canopy, light fixtures made from a prized rooster coop, and converting an old headboard of a bed into a mantel. Ted is an active member at Courtney Baptist Church, volunteering time to many community and construction projects to include Impact Yadkin. He is also a member of Gideons International. Ted enjoys traveling, running and hiking in his spare time. 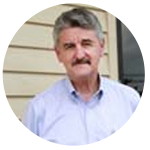 ​Dale Puryear is the Commercial Operations Manager for Wishon & Carter Builders. He is responsible for leading commercial sales, customer service, and managing projects and operations. Dale began as a subcontractor to Wishon & Carter while operating Puryear Builders. Since joining Wishon & Carter full time in 2004, the company has been a Top 20 regional contractor and been named to the Inc. 5000 and Triad Fast 50 lists. Dale led the construction team at Brightwater in Myrtle Beach, a project that totaled $25 million and over 150,000 square feet. He has built custom homes, production homes, assisted living centers, churches, banks, and metal buildings, among other projects. Dale is an accomplished dirt biker, with the injuries to prove it. He is active in his church and the Boonville community. His twin children enjoy the beach as much as he does. Dale graduated from Surry Community College in Accounting and Business Management and from Forsyth Technical Community College in Heating, Air Conditioning, and Refrigeration. 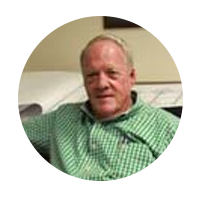 Monroe Whitt is the Senior Estimator at Wishon & Carter Builders. He is responsible for estimating and the design/ build process for commercial projects. He has been estimator for thousands of diverse projects, including assisted living, churches, apartments, banks, metal buildings, schools, community centers, retail space, offices, and many others. He is especially proud of the restoration of the historic Horne Creek Farm. Monroe has more than 50 years experience in construction, having started with his father at age 16. He has been with Wishon & Carter since 1997. Monroe is an expert gardener, with a special skill for heirloom tomatoes and giant watermelons. He was a member of a world champion softball team. He is active with the Moravian Church. 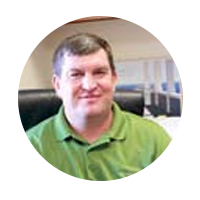 Mark Colbert is a Commercial Project Manager at Wishon & Carter Builders. He is responsible for managing commercial and residential construction projects and providing exemplary customer service. 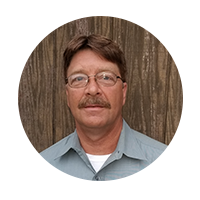 Mark has more than 35 years experience in construction, starting as a carpenter with promotion to superintendent and project manager. He started with Wishon & Carter in 1987. He has worked on a diverse group of projects, having built a Holiday Inn Express, Deer Valley Condominiums, Yadkinville United Methodist Church, Brightwater Assisted Living, and the Elkin Rescue Squad. He was presented the Pride in Workmanship Award for the Weyerhaeuser factory construction project. Mark is active at Knobbs Baptist Church and has two daughters with his wife Pam. He enjoys hunting, fishing, softball, and basketball. 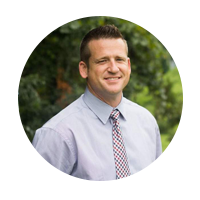 Ryan Froelich joined the Wishon & Carter Builders team as a Residential Project Manager in 2017. He is passionate about partnering with his clients to make their dream home a reality. Ryan has over 20 years of experience in homebuilding, most recently as the Construction and Land Development Director for Habitat for Humanity of Forsyth County, where he introduced the concept of "Green Building" and has built numerous Energy Star homes while managing a staff along with an army of volunteers and sub-contractors on tight schedules and budgets. 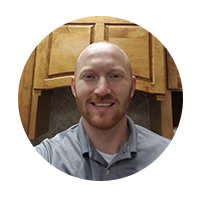 Ryan is also a licensed Realtor® and holds a NC General Contractor's License. He graduated from Forsyth Tech in Construction Management. He has served on the Board of the Homebuilders Association of Winston-Salem for several years and was NAHB Remodelers Council of Winston-Salem President in 2017. ​Ryan lives in Davie County with his wife, Heather and three sons. In his almost non-existent spare time, Ryan enjoys playing tennis, basketball and fishing. He is active in his church and community. Andy Nicholson is a Residential Project Manager for Wishon & Carter Builders. He is responsible for managing residential construction projects and providing exemplary customer service. Andy has diverse experience across construction specialties, from log homes to commercial construction to HVAC installation. He has been in the industry since 1986. ​Andy and his wife spend much of their free time beside a baseball field watching their son catch. He also enjoys riding horses, and has traveled much of the Southeast on horseback. He is an active member of “Rails for Trails”, which converts abandoned railroad tracks into horse trails. Andy’s wife is director of InMotion Dance Studio, and once a year Andy volunteers for a week to support their annual shows that sell out the Stevens Center. Neil Townsend is a Residential Project Manager for Wishon & Carter Builders. He is responsible for managing residential construction projects and providing exemplary customer service. Neil is also the CAD artist for all Wishon & Carter designs; having a hand in the design of custom homes, log homes, kitchen & bath remodels, garage additions, steel buildings, steel framed homes, carwashes, grocery stores, churches, banks, funeral homes, and nursing homes. Neil is an avid sportsman and former competitive archer. He enjoys running and golf. Much of his spare time is now devoted to attending little league and AAU games. Neil graduated from Wilkes Community College in Drafting. He has been with Wishon & Carter since 2003. 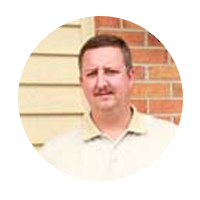 Randy Trinkle is a Residential Project Manager for Wishon & Carter Builders. He is responsible for managing residential construction projects and providing exemplary customer service. Randy has built numerous Energy Star rated homes and is a member of the Triad Green Building Council. He built the first Gold level NAHB Green Certified home in Yadkin County, and has won 3 Parade of Homes Gold awards. When not at work, Randy especially enjoys travel and surf fishing. He is a burgeoning cook and willing golfer. ​Randy graduated from Appalachian State University in Construction Management. He has been in the construction industry for more than 35 years, and with Wishon & Carter since 1996. 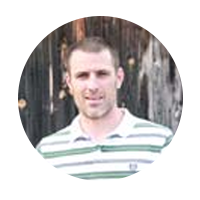 ​Justin Wells is a Residential Project Manager for Wishon & Carter Builders. He is responsible for managing residential construction projects and providing exemplary customer service. Justin has been in the construction world for as long as he could walk. He grew up in the family business as a framing contractor. In addition to carpentry Justin has a strong background in many fields of construction including general maintenance, plumbing, electrical, and is also a certified welder and iron worker. Justin has been with Wishon & Carter since 2016. Justin is also the pastor at Mountain View Baptist Church in Windy Gap. He and his wife are devoted parents to two boys. Justin is an avid outdoorsman and craftsman.